Tasting Note: Looking for the perfect boost for your cocktail, martini or after dinner drink? 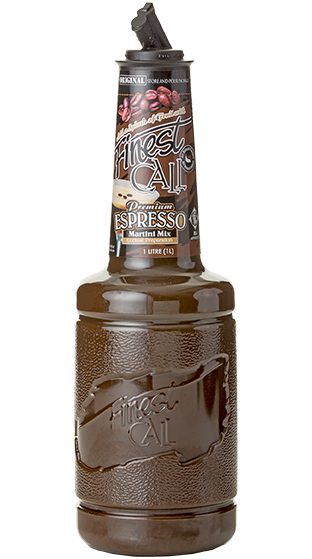 Finest Call Espresso Martini Mix is your answer! Perfect for any frozen or on-the-rocks drinks, this mix can be used in place of coffee with lightly roasted flavours and a sweet espresso finish it is perfect for any cocktail and a key ingredient for Espresso Martinis. Colour: Opaque, dark chocolate. Flavour: Lightly roasted f lavours and a sweet espresso finish.